Most Easter candies are verboten for cats, but your kitten will love this treat-like toy. This set of three catnip toys look like jelly beans, so you can tuck a holiday-themed “treat” into their Easter basket. Made from fleece, these jelly beans are purple, orange, and pink. When the rest of the family dresses up for Easter Sunday, your cat can join in too. This collar is a cute mint green color with an Easter bunny print, a bell, and a cute spring flower. The flower is detachable, so you can easily add it in for family photos or special events. They also have other color options and a bowtie style collar. Made by Cleo specializes in a variety of festive neckware for pets. This means you can have your collar custom made to your cat’s size. Check out all their collar options to get something festive for your cat (or dog!). 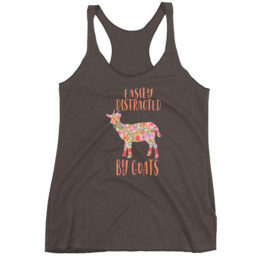 This is one of the most perfect Easter gifts for cats that love to be the center of attention. You can dress your kitten up as the Easter bunny. This is perfect for family photos or just some fun on Easter morning. The medium size is perfect for most adult cats and it’s easy to put on thanks to the velcro fasteners. Check out the pics in the reviews and you’ll just have to get this for your kitten. Carrots are a healthy snack alternative for humans on Easter, but it turns out they’re the perfect shape for Easter cat toys as well. 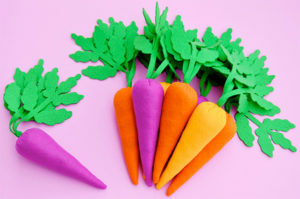 House Cat Club makes these fun toys modeled after heirloom carrots, which means they come in three colors: traditional orange, light orange, and purple. They handmake these toys out of eco-felt and include lots of catnip inside, which will drive your kitty wild. Plus it will be absolutely perfect in their Easter basket. If you’re cat loves tunnels, they won’t be able to get enough of this Easter present. This cat tunnel features a festive print of Peeps marshmallow treats. Light weight and collapsible, this pop-up tent is great to pull out for play time or take with you when you travel. Plus your kitten will appreciate the Easter themed design. Let your kitty get in on the Easter egg hunt with these cute toys. If you’re looking for Easter gifts for cats, this is must have! A best seller for Sammy Merlin’s Etsy shop, this is a set of six “Easter Egg” cat toys. 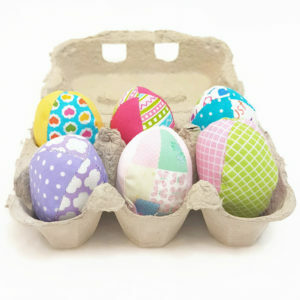 Handmade with festive Easter-inspired fabric, the eggs are then filled with your choice of catnip, valerian, or a half/half blend. Your kitty will be thrilled to play with their new Easter toys. If your cat enjoys hiding out or playing in grocery bags, they’ll go bananas for this Easter toy. This colorful crinkle sack features a bright Easter print of marshmallow Peeps bunnies. Perfect for sleeping, cuddling, or playtime, this sack will help get your cat into the Easter spirit. 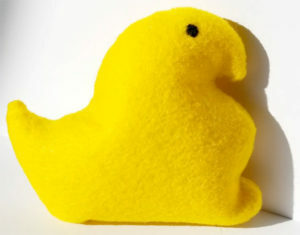 Sadly cats cannot enjoy the delicious treat that is a marshmallow Peep chic, but now they can get in on the Easter fun. This handmade cat toy by On the Go with Ro turns the delicious Easter candy into a cat-safe celebration. Made from craft felt, this toy is filled with catnip to inspire playtime for your kitty. Since these toys are handmade to order, you can get them in yellow, pink, purple, or blue. Your kitty can have some festive, frisky fun with this gift. Perfectly sized for your cat’s Easter basket, this set of four toys features a squeaky ball, a bell, and feathers. Great to throw or bat around, your cat will enjoy this gift. If you really want to dress your cat up for the holiday, get them this lovely dress. 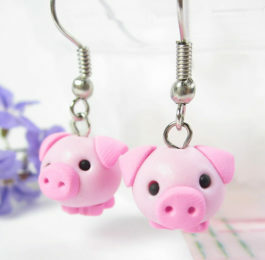 Handmade by All About Madison, they design a variety of clothes for dogs and cats. 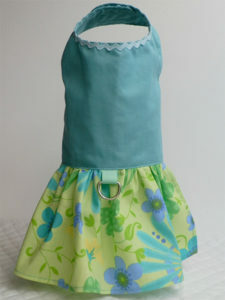 This Spring-y dress is perfect for Easter Sunday, so you cat can dress up for a party or for family photos. They’ll even embroider your cat’s name on it for a personalize Easter outfit. Need more gift ideas? 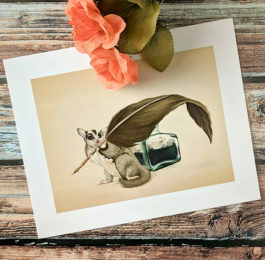 Check out these festive Easter gifts for dogs and puppies. Get your cat a practical gift with these GPS cat trackers.